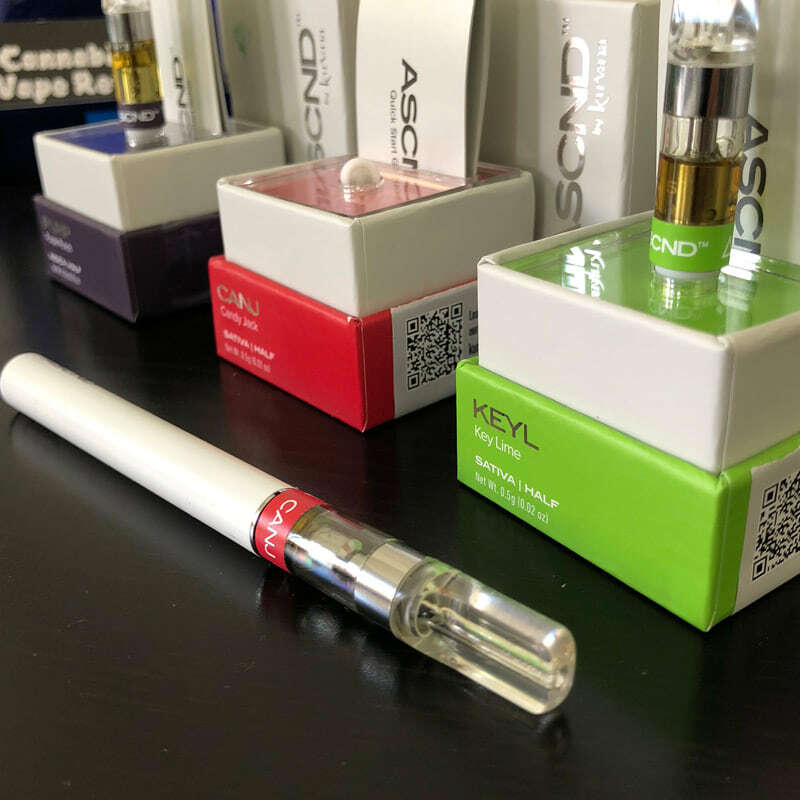 Recently, we had the pleasure of reviewing the entire line of Kurvana ASCND cannabis oil vape cartridges. 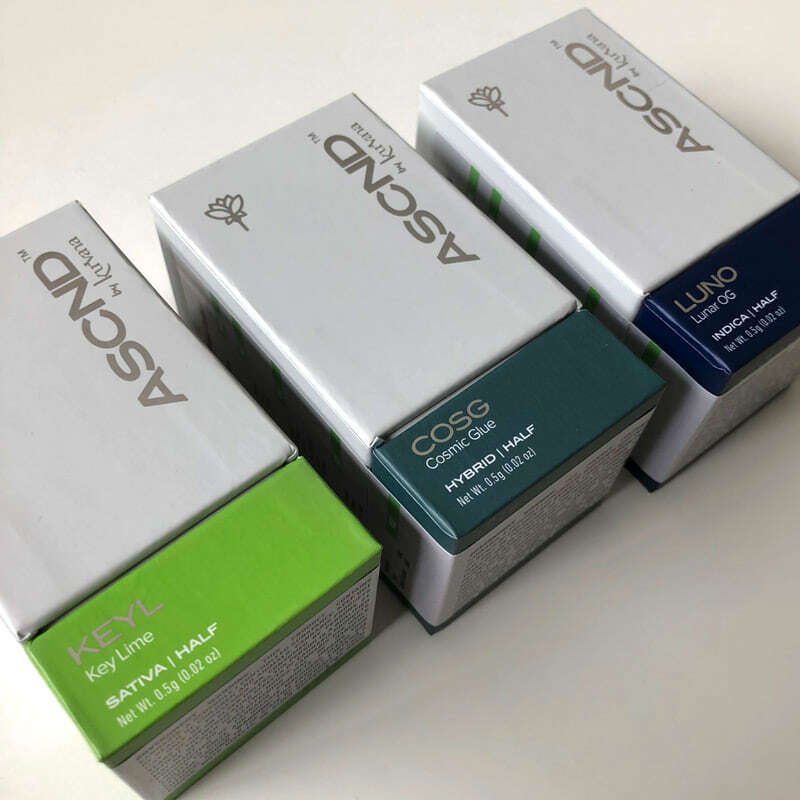 If you haven’t tried an ASCND yet, they are outstanding. 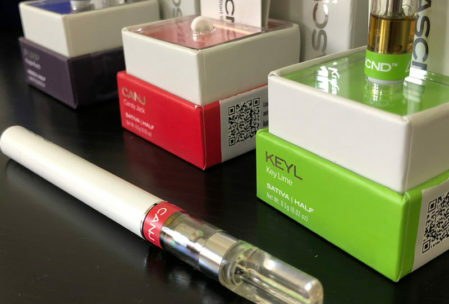 We previously reviewed Kurvana KPEN cannabis oil vape cartridges back in 2016. At the time, Kurvana was already showing much promise as an up-and-coming brand. 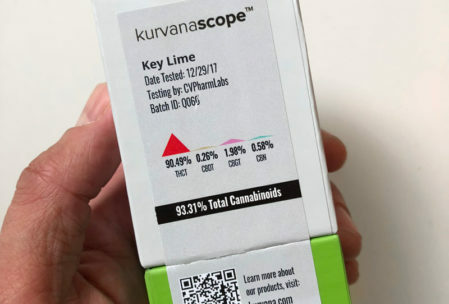 From Kurvana’s beautiful tube/cork packaging, strain labeling, and unique cannabis oil selections including Banana Smoothie in a balanced 1:1 THC to CBD ratio, Kurvana vape products have always been something to be excited about. 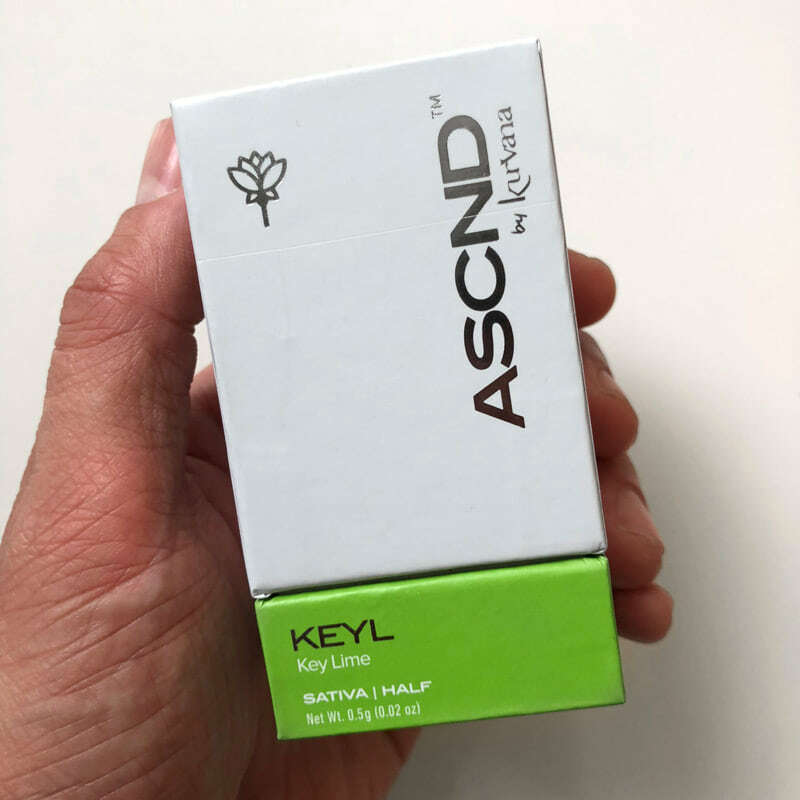 Then later on in 2017, we discovered Kurvana’s new vape cartridge line, Kurvana ASCND cannabis oils. 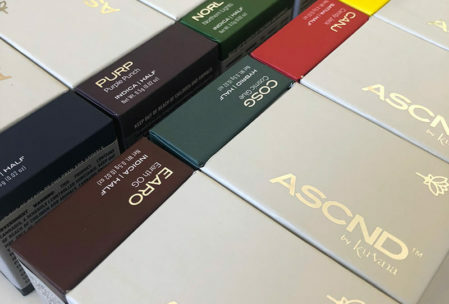 Given our initial impression of Kurvana, we had high expectations for the ASCND vape cartridges – and oooh weee, did Kurvana deliver once again! 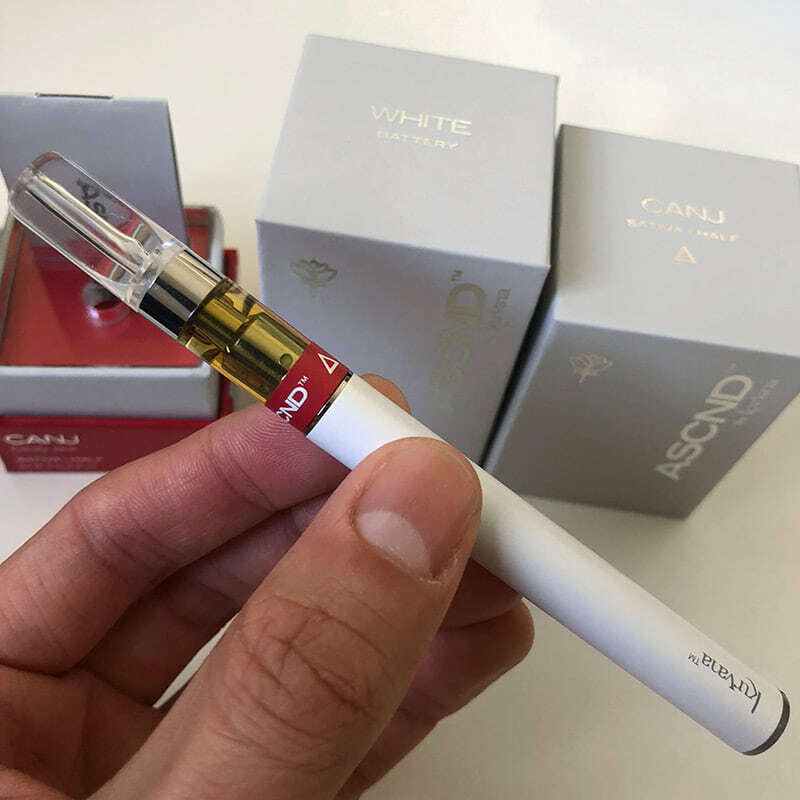 The Kurvana ASCND line offers spectacular indica, sativa, and hybrid strains available as 500mg or 1000mg vape cartridges. From packaging and labeling to their delicious strain selection, flavor profiles, and potency, Kurvana has perfected every detail. With good reason, Kurvana ASCND vapes have quickly become some of the best vape cartridges we’ve ever come across. Kurvana uses their own custom extraction machines and methods to produce full-spectrum oils that contain plenty cannabinoids and terpenes to preserve true-to-strain flavor profiles and effects. 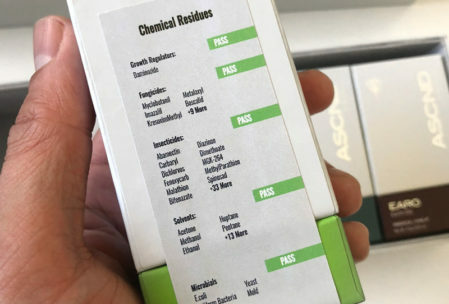 All Kurvana ASCND cannabis oil are highly potent, testing at over 80-90%+ THC. 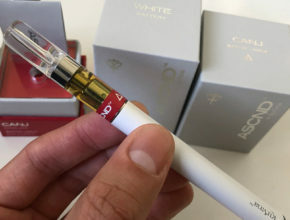 These are excellent vape cartridges for those who enjoy intense psychoactive effects. All Kurvana products are tested by the most respected third-party cannabis testing labs in the industry. Some of these labs include Cannalysis, CW Analytical, and Steep Hill. 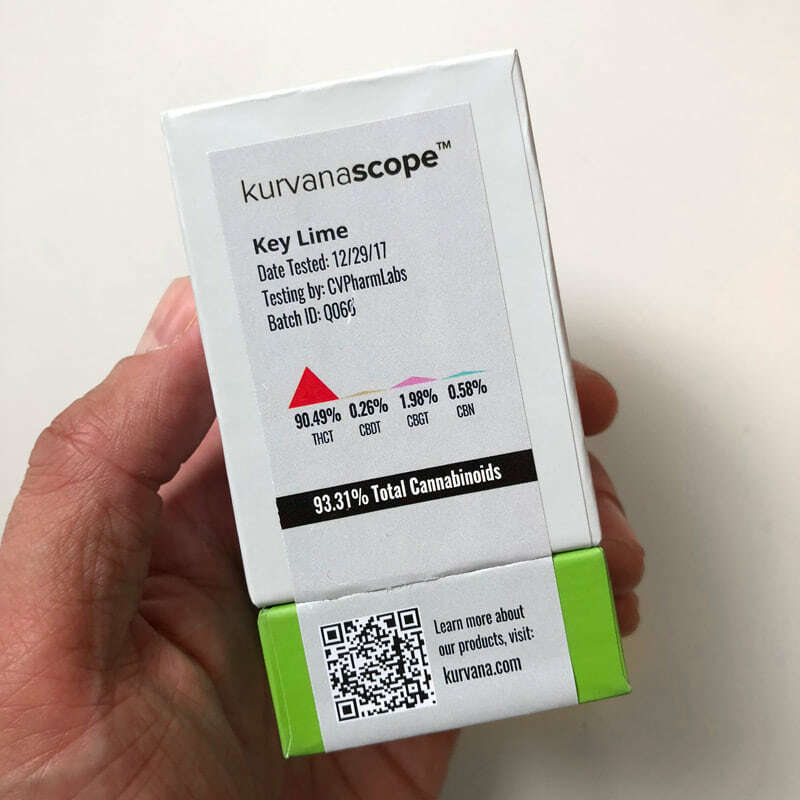 Lab results are clearly labeled on every ASCND vape cartridge package using Kurvana’s trademarked “Kurvana scope” which displays not only cannabinoid contents, but pass/fail results for microbials such as fungus and molds as well as chemical residues including solvents and pesticides. 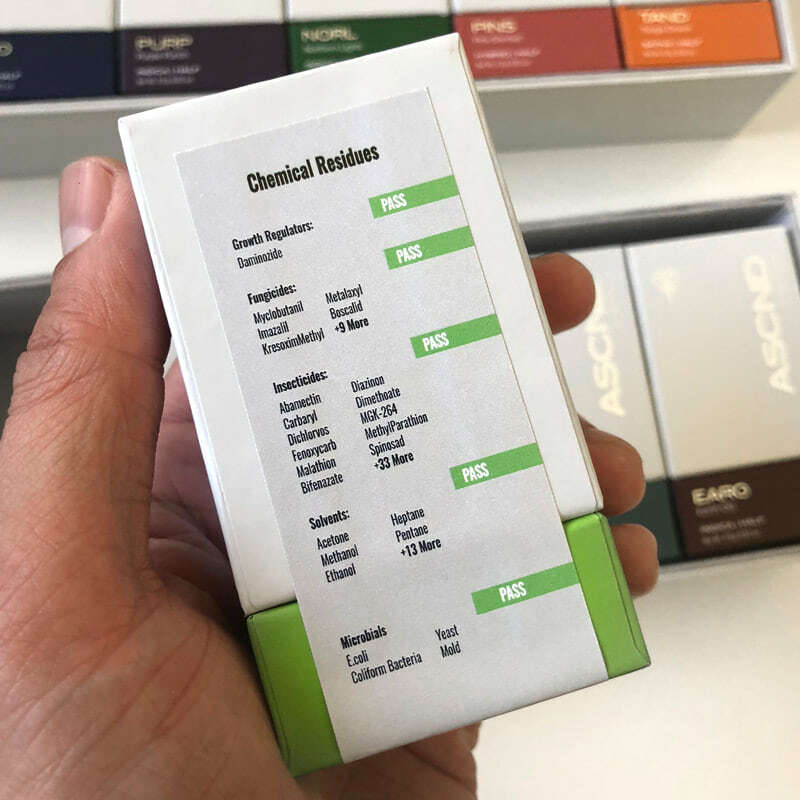 We love this level of transparency and the labeling design which reminds us of the hmbldt dose vape pen (now known as dosist). You can check with Kurvana for the latest lab results. In our opinion, Kurvana offers some of the best cannabis oil strain selections available. Kurvana uses highly sought after indica, hybrid, and sativa cannabis strain combinations that have incredible flavor profiles. 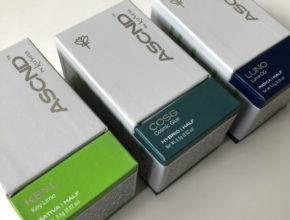 Kurvana was kind enough to provide their entire line of ASCND vape cartridges for review. We had the chance to fully enjoy every tasty strain. Kurvana ASCND oils have relatively mild flavors, crafted to preserve the natural cannabis flavors that are true to the strains they are extracted from. Key Lime (Sativa) – Key Lime has a delayed aftertaste that’s very light with subtle, sour and citrusy notes. Rated at 90% THC, this was one of the most potent oils, inducing an intense, energizing buzz. Purple Punch (Indica) – One of the most delicious and boldly flavored oils of the entire ASCND line, Purple Punch tastes as if it’s packed with real juicy, fruit flavors. This heavy indica is great for winding down at the end of a long day. Northern Lights (Indica) – Sweet and woody to taste, Northern Lights leaves behind a mild aftertaste similar to a tiny sip of oak barrel aged whiskey mixed with subtle piney, floral notes. Its sedative effects induce a clear-headed sense of calm. We found that Kurvana ASCND cartridges are best enjoyed by taking multiple consecutive quick, shallow puffs. Because these oils are highly potent and rip so well, it doesn’t take much to get a good buzz going. 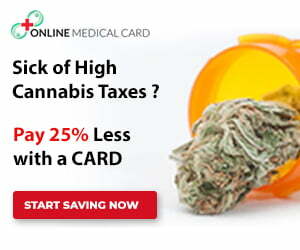 The less THC tolerant may easily overdo it – so take it slow! Taking small hits allows for easy, controlled dosing to find your optimal high. If your goal is to feel intense psychoactive or deep sedative effects, usually just one or two 3-5 second puffs will do the trick. Within 10 minutes, you should feel all warm and fuzzy – unless your tolerance is through the roof. 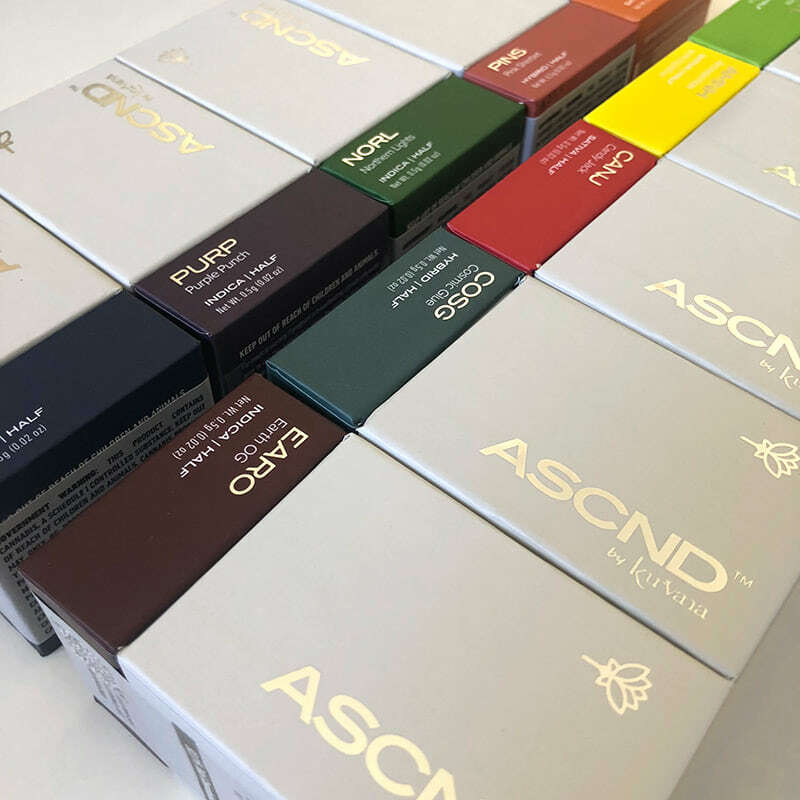 At 80-90% THC, the entire line of ASCND cannabis oils is quite potent. 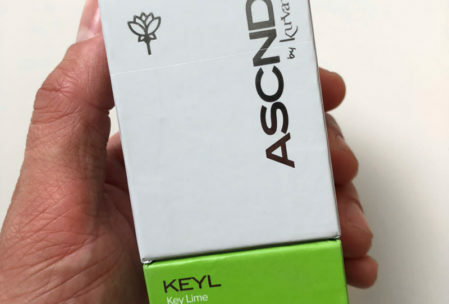 During our review of Kurvana ASCND vape cartridges, we used the Kurvana ASCND battery. The cartridge hardware used for ASNCD is great, but it’s not perfect. When working properly, ASCND cartridges are amazing! 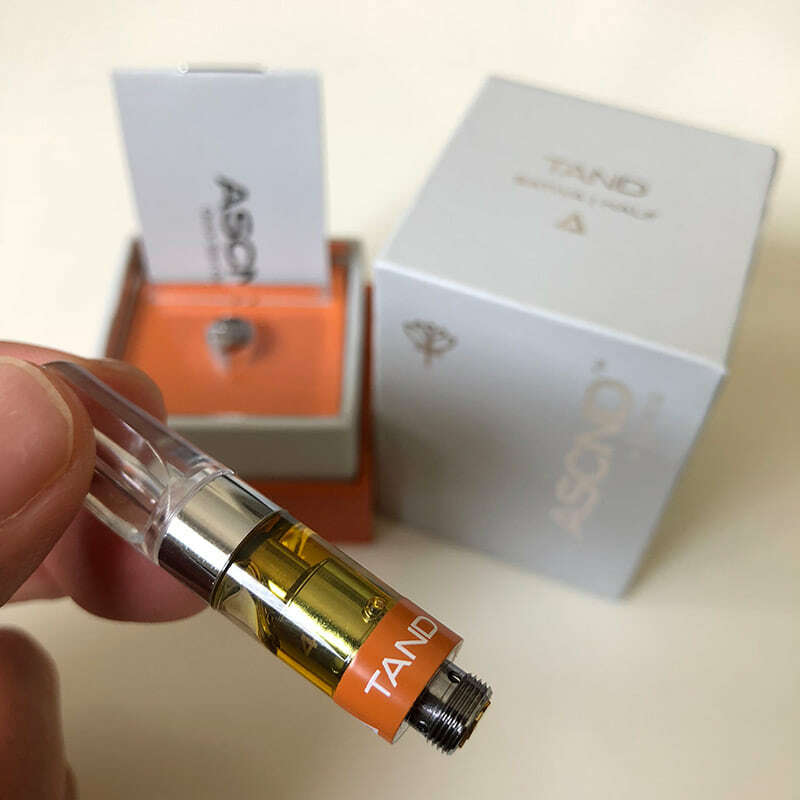 ASCND cartridges have excellent airflow and use ceramic heating elements that produce surprisingly large and pleasant vape draws. But, after trying the entire line, we eventually ran into a few faulty cartridges with some clogging issues. Once we experienced a clog with an individual cartridge, the issue persisted for the life of that cartridge. The clogs did not cause complete cartridge failure however. To clear the clogged airway, we had to create a strong suction that temporarily removed the blockage. Once the oil cooled down again, as with each new vape session, we had to repeat the process. Although this can be annoying, you don’t have to deal with this. Kurvana has a solid replacement policy and encourages all customers to request a hassle-free replacement at the first sign of defect (more on this below). 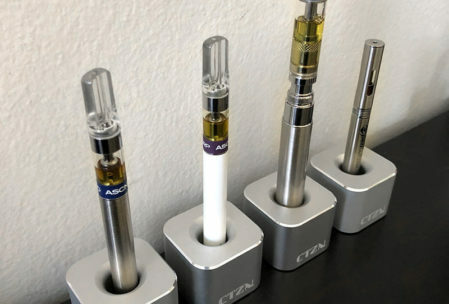 Following all vape manufacturer instructions, we usually store cartridges at room temp, away from direct sunlight and keep cartridges standing upright using these nifty CTZN vape stands. Regardless, we still experience clogging/leaking from time to time across all brands so we’ve yet to find a 100% reliable vape cartridge. Despite our run in with a few faulty cartridges, rest assured that you will be taken care of as a Kurvana customer. 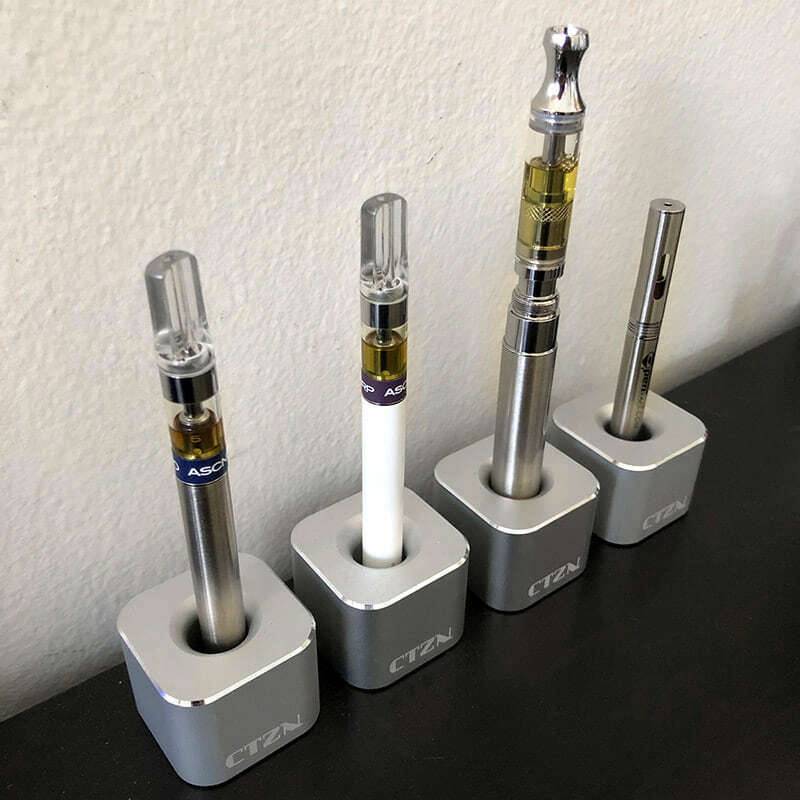 After speaking to Kurvana about the clogged cartridges, they informed us that they have since improved the cartridge design by modifying the pore size which significantly reduces clogging issues. Kurvana also has a strict exchange policy. 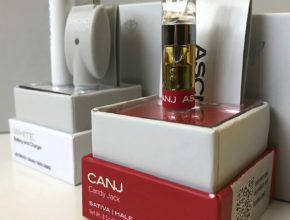 They encourage all patients and consumers to immediately return any cartridges at the first sign of defect for a full replacement at the retailer where the Kurvana product was originally purchased. 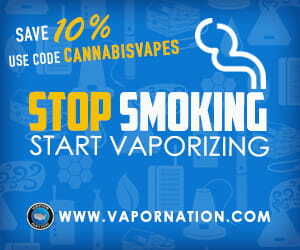 This is a cool policy as most vape brands make no guarantees and leave it up to the retailer’s discretion. 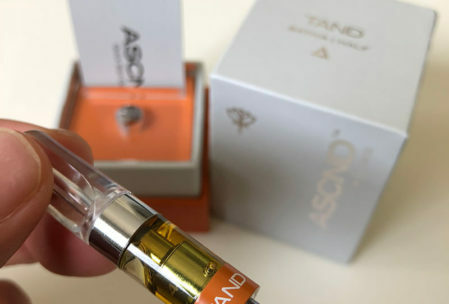 Overall, we were thoroughly impressed with Kurvana ASCND vape cartridges. 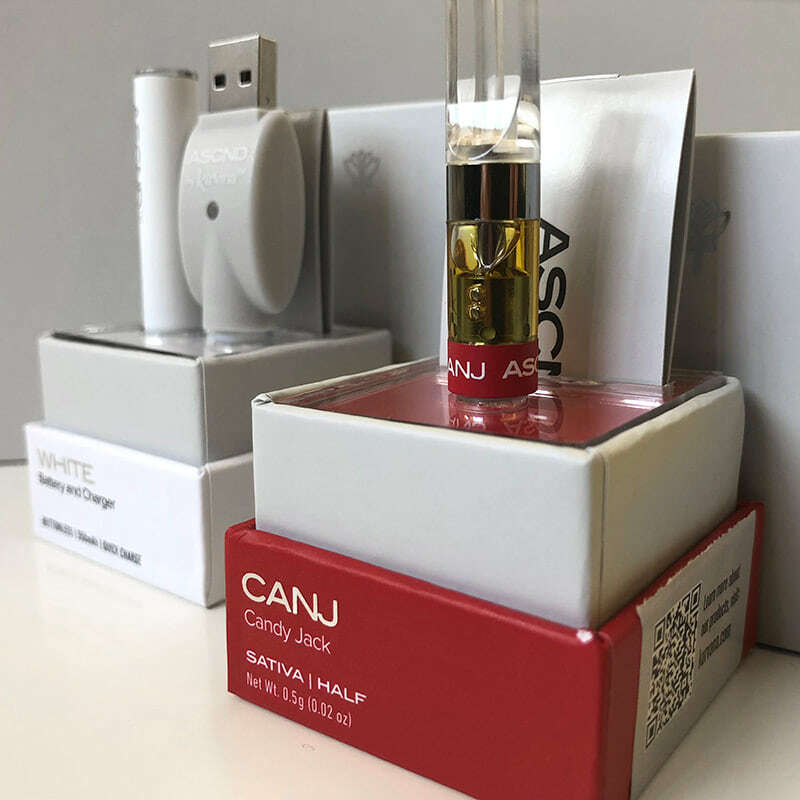 From their solid packaging and presentation to potent and flavorful cannabis oil, these cartridges have instantly become one of our top shelf favorites. 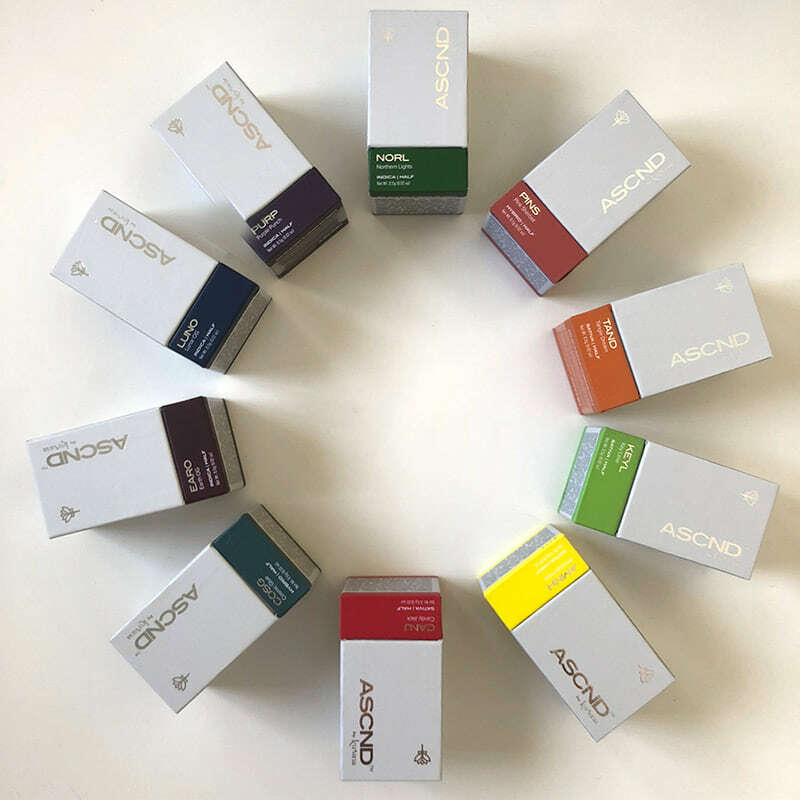 The sizable hits and clean, crisp flavors you get from an ASCND vape will make you want to ditch whatever you’re currently vaping. If you’re not in love with Kurvana ASCND cannabis oils, you probably haven’t tried them yet. 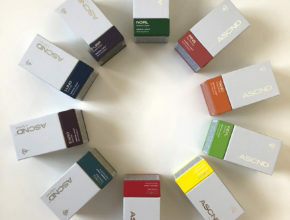 Kurvana ASCND vape cartridges are available in many dispensaries throughout all of California. These cartridges retail for about $40-50 for a half gram (500mg) and $60-70 for a full gram (1000mg). Find Kurvana on WeedMaps. Follow Kurvana on Instagram. Kurvana is currently working on an all CBD vape and new oils of varying THC:CBD ratios. Stay tuned! Hands down one of the best vape oils we’ve had the pleasure of reviewing. Kurvana ASCND vapes are on point with their packaging and presentation through quality of oil in terms of flavor and potency.